Are you ready for Summer? Is your wardrobe ready for Summer? Instantly update your look with a new Coach purse. From pastels to brights to classic Coach logos, one of these fabulous purses could be yours. Don't miss your chance to win! Have you always wanted to have a Coach purse? Then good news because my blogger friends and I have teamed up to give you an awesome giveaway event. 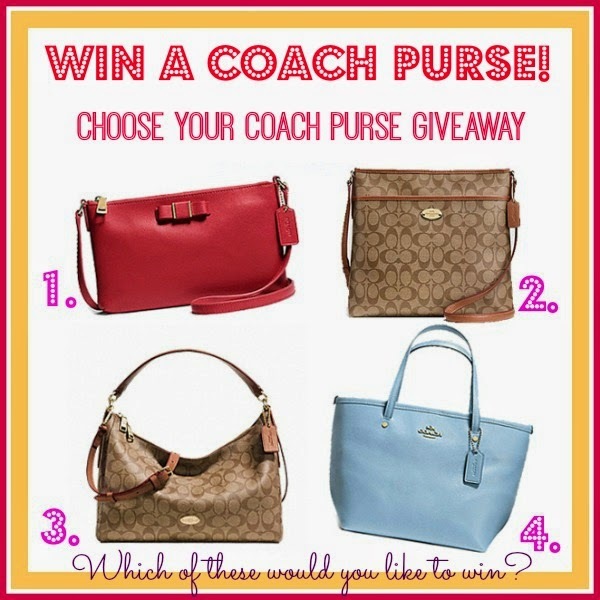 We have 4 gorgeous purses on hand and in this giveaway we're giving ONE winner a chance to choose one Coach purse. So which is your favorite among the 4 styles? Please wait for the rafflecopter to load above. Make sure to come back daily to send your daily entries for more chances of winning. Giveaway is open to US only and runs from 4/13 - 5/4 11:59pm EST.